Ready to get some serious early-season miles on your bike? 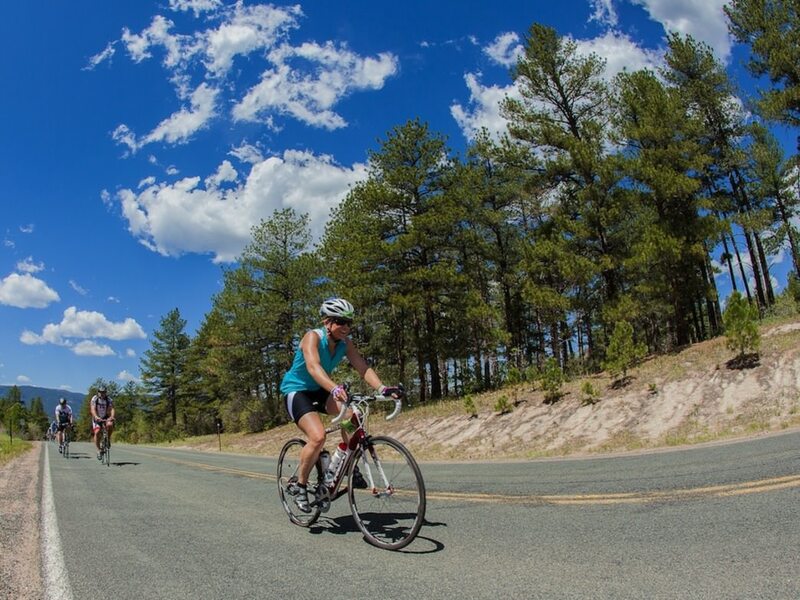 Gear up to join about 7,000 others for the 28th-annual Elephant Rock ride on June 7, the highlight of the Rocky Mountain region's premier cycling festival. 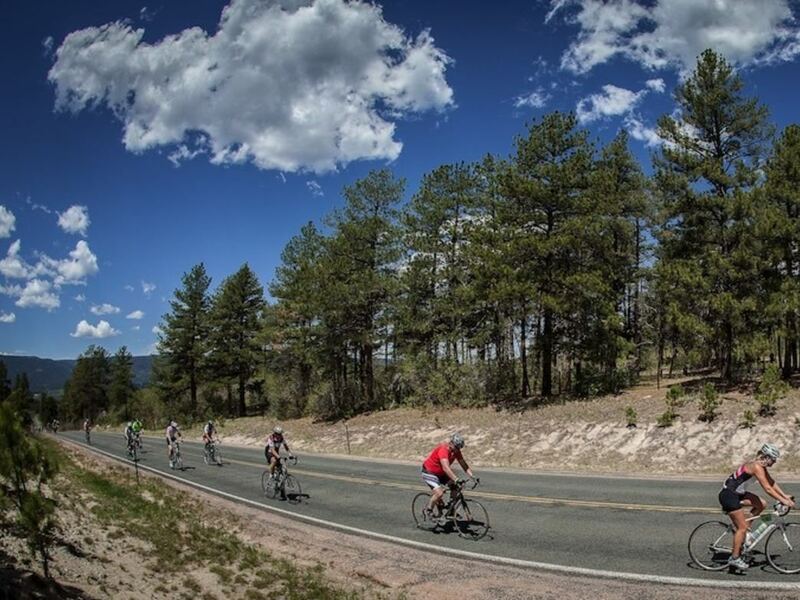 ERock, as it's affectionately known among local cycling circles, features five different non-competitive distances to choose from, from a family-friendly eight miles to a gravel-grinder 27-miler all the way up to a century with about 5,700 feet of elevation gain. The ride begins and ends at the Douglas County Fairgrounds, a half-mile southeast of Castle Rock. All courses offer spectacular Colorado landscapes along the way, with a variety of gravel, paved, and dirt roads for some distances. 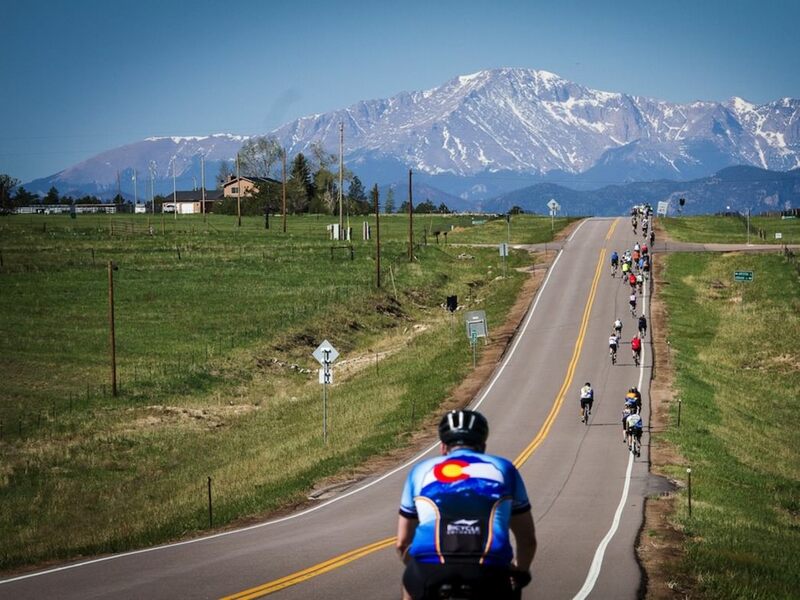 And judging by the amount of registrants who opt for the 62- and 100-mile options—about 70 percent, according to event director Scot Harris—it seems Colorado Springs cyclists are squirming in their saddles for a challenging ride to start the season. 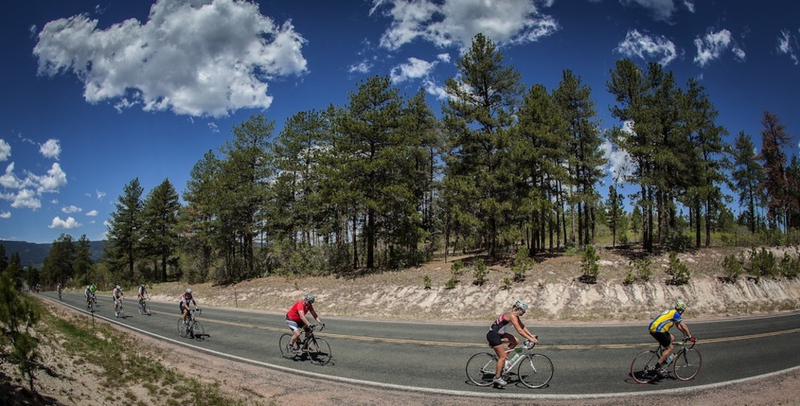 The metric century (62 miles) comes south through Palmer Lake and Monument and back north on Highway 83. And the century? If you're one of those up for it this year, you'll get to experience a brand-new route that's "a lot more interesting," Harris says, by taking advantage of recently paved roads. Instead of the old add-on loop in the Black Forest that riders have been doing for years, Harris explains, the new course goes farther out east through Elizabeth and Elbert, and then back through Black Forest on Hodgen Road. The second half is "the same old part that we'd never want to change anyway," Harris says. "It's so beautiful back along Highway 105 and Palmer Lake." It's worth noting that the ERock-affiliated Sunrise-Sunset competition on June 6 also has big changes this year. Castle Rock built the brand-new, $30 million Philip S. Miller Park, featuring about seven miles of engineered singletrack trails—and this year's Sunrise-Sunset riders will be the first to test it out during the endurance mountain bike race. 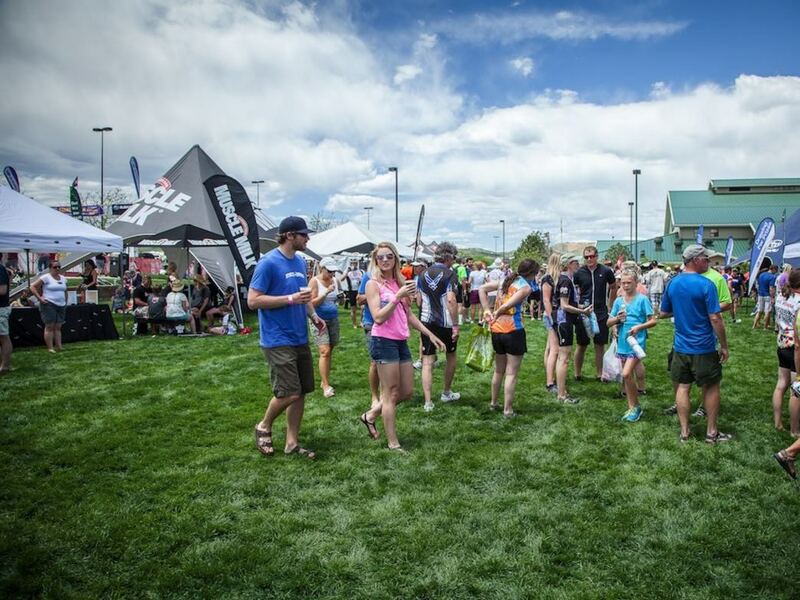 Other new additions to ERock 2015 include a food truck area and, thanks to REI, a bicycle-powered stage for live music on Saturday night and expanded camping options, such as a group of kitchens for campers. "We've always really encouraged camping on Saturday night just because you get such an early start and it's so easy to just camp and get up and ride, but REI has helped that a lot this year," Harris says. For a fee, he adds, they'll make sure you have everything you need waiting from you, from tents to sleeping bags to pads, a good incentive for those on the fence about camping. Perhaps a bit harder is determining which route to ride. When selecting a route, Harris says, "The bottom line is understanding your personal limits by getting out and riding a little beforehand. [However] as a general rule, if you've trained at one level you can generally ride 20 to 30 percent more than what you've trained at. If you did a training ride of 30 miles, you'd probably be just fine on a 40- or 50-mile ride, and up from there. With the excitement and the support, all of that definitely allows you to push a little harder." ERock is a great early-season warm-up to those rides you want to do in the mountains later this summer. Of course, distance is only one part of the picture. It's always a good idea to check out a race's website beforehand to look at the courses and the elevation gains in store for you. ERock's century, for example, has about 5,700 feet of elevation gain. For extra training prep, you can go ride any of the routes beforehand. But if you'd prefer be surprised day-of, Harris suggests to start training somewhere in the flatlands before heading straight up into the mountains. His advice: "From the Springs and Denver, go east. From Grand Junction, go west." Rolling Out a New Bike Share Program in Portland?